By now most organizations have realized the benefits and importance of "going green." There are legal and tax advantages like tax credits on the state level and certain credits on the federal level as well. Reducing waste can often mean reducing operating costs, saving energy, and so on--all things that generally lead to saving money, which every organization should be on board with these days. Improving the workplace, generating positive public perception, and having more sustainable practices are just a few of the other major advantages that organizations have found. Improving technology is another practice that most organizations have embraced. Hp has succeeded in combining the best of "going green" with technology advancement in the new latex ink for commercial print houses. First, let's take a look at what typically goes into the standard commercial print job that your marketing department may outsource to a print house. Typically art files are designed, uploaded, sized, and an electronic proof is created for approval. For the most discerning, maybe a hard copy proof is generated and sent over-night for an extra charge. Again, the most discerning, may raise concerns about exact color matching and review PMS colors with the printer to ensure everything prints exactly as planned. After that, most do no know what goes into the print production. There are different types of printing (offset, digital, large or wide format, etc.) but we will keep things simple and save those topics for another post. Once the proof is approved and printing goes into production, the printer prints the file and then "spits it out." At that point, the print job must be set aside for "degassing" and to allow the inks to fully dry and set on the print medium. The printing facility itself needs to be well ventilated, often with an air purification system as well, and production staff has grown accustomed to the antiseptic-like smell of the inks. After this step, the print job moves into fulfillment where it is packaged for delivery and any final touches necessary may be added. Then there is the newest technology: latex ink. It has no smell and it is sustainable. The ink is non-flammable, non-toxic, and non-combustible. This is because latex ink is 66% water! From a design standpoint, this is huge. Unlike other inks that settle into the print medium and can react with it, latex ink sits on top which means it does not react to the print medium in the same way as traditional inks can sometimes react. Furthermore, latex ink is a huge step forward in "going green" for the commercial print industry because it is recyclable and sustainable. The lack of strong odor means the print jobs that use latex ink will not require degassing right out of the printer. Latex ink does not produce VOCs (volatile organic compounds) which, without adequate ventilation, can cause major health problems like asthma, central nervous system damage, and even cancer. This also means that latex ink does not need time to set upon coming out of the printer because the ink is already dry. All of this means greater production efficiency leading to savings for users of latex inks. 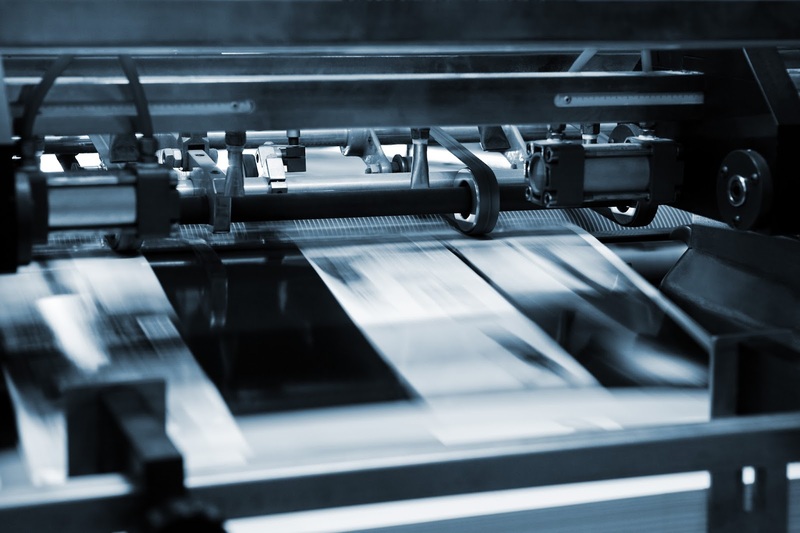 For those organizations outsourcing to a commercial print house, this increased production efficiency should mean faster overall turnaround time on print jobs. It could also result in cost savings passed on to the customer. Finally, customers will also be happy to know about the durability of latex ink. Unlike traditional inks, it does not require lamination for durability. In fact, latex ink can last up to three years without being laminated. For the doubtful (or those needing extra-long durability), laminate latex ink and it will last up to five years. Imagine the cost savings to an organization if print jobs do not need to be periodically reprinted. While it is uncertain the exact effects latex ink will have on the commercial print industry, one thing is for sure: latex ink encompasses the best of "going green" with advancing print technologies. While latex ink may not yet be the standard for all commercial printers, it certainly does remind the customer to evaluate how much print and fulfillment services are costing and look for savings opportunities. Has your organization done this lately?